from all your fragile labyrinths of coral? Eamonn Lynskey writes of the stark reality of injustice, which is so often part of our dealings with each other. Poems such as ‘The Canals on Mars’ focus on past brutalities, while our rapacious exploitation of planet Earth is treated in poems like ‘Down to Africa’ and ‘Lament’. Poems like ‘Calvaries’ lay bare the difficulties of an oppressive religious upbringing. Our response to the sufferings of others and to the ongoing destruction of the natural world is limited by the consuming demands of our everyday lives (‘Metsu’s Women’). Nevertheless, and however great the obstacles, a response is required, urgently… come, the world must be newmade. It’s time. Eamonn Lynskey’s poetry first appeared in the New Irish Writing pages of the Irish Press in the 1980s, edited by David Marcus, and since then widely in magazines and journals such Poetry Ireland Review, Cyphers, The SHOp, Crannóg, The Stony Thursday Book, The Stinging Fly, Boyne Berries, Orbis, Riposte Broadsheet and the Irish Times. He was a finalist in the Strokestown International Poetry Competition and in the Hennessy Awards and has published two collections, Dispatches & Recollections (1998) and And Suddenly the Sun Again (2010). 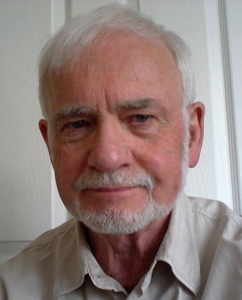 He has been involved in the organization of poetry events in Dublin for many years and has presented poetry programmes on local radio. He obtained an M. Phil in Creative Writing from Trinity College Dublin in 2012 and participated in the 2013 Stanza Poetry Festival in St. Andrews in Scotland. Before retirement he worked as a teacher and Adult Education organizer. to take the finger off a careless chef. strewn around a cratered market square. in Dhaka so that he might buy cheap clothes. Fairtrade products, compose angry poems. to splash into my kitchen sink. again become immune to the miraculous. Such incantation to power over powerlessness typifies Lynskey’s tone throughout the collection. He is highly attuned to pain and injustice in life, but not at all overcome by it. His poems ask us to ask ourselves questions and thus insist that change is not only worthy of us, but incumbent upon us too. In “Deposition” (24), for instance, an unidentified body is found in the night, possibly hanged, yet the women who come upon it in the morning do not look away. They pray over it and leave behind flowers, human compassion once again lighting the way toward tomorrow. 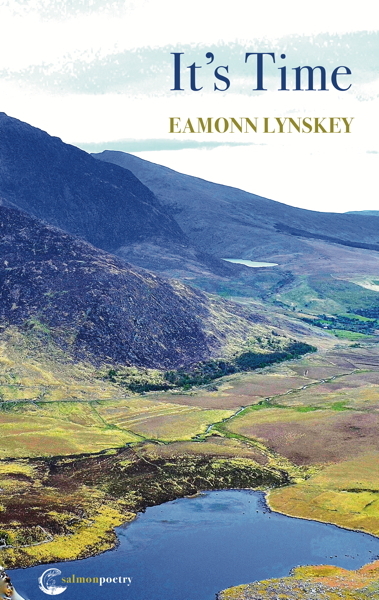 Such up-close, at times unflinching and always highly specific language of both ordinary and extraordinary human experience is characteristic of Lynskey’s composition. Read aloud, his lines trip easily off the tongue because his lexicon is so common to the words we use with each other every day. His syntax, while never convoluted, still achieves a lyrical quality. Lynskey’s touch is light, his syllabication deft, and his verse thematically inviting for readers of all kinds who wish to ruminate on life as we know it, in the here and now, because every “going forth” is “a risk,” every “safe return a victory. And until our “Final Notice” (66), there is still time to achieve a higher purpose. The blurb on the back of this third collection says that the verses offer questions, not answers. However, it seems to me a partial truth because Lynskey does ask about things, although in a manner which makes the readers think they conceived such questions for themselves. He deals with all aspects of life: faith; conservation: personal relationships. In each case, the answer is inherent in the asking, implying therefore further questions -– do I want to contribute to making an answer a reality, and if so, how and when? For Lynskey, the third question is answered in the title. and find it all a work of human hand. Reading Lynskey's work, it is impossible remain untouched.